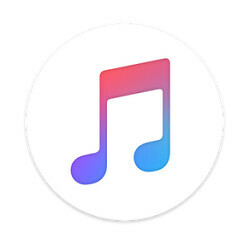 If Apple wanted Apple Music to become the leading destination for streamed music, the company realized early on that it would have to come up with a way to get Android users involved in Apple Music. The answer was not that hard to figure out. Apple came up with an Android version of an Apple Music app that could be installed from the Google Play Store. Some time in the last day or so, the number of subscribers to the Android version of Apple Music has risen from a range of 5 million-10 million to a range of 10 million to 20 million users. While this doesn't give us the precise number, it does tell us that Android downloads of the app from the Google Play Store have now exceeded 10 million. Of course, once the free app is installed, an Android user still has to subscribe to the service. One month is $9.99 (students pay $4.99) and a family with up to six members can pay $14.99. As we told you yesterday, Apple is now offering gift cards for Apple Music. Available from physical Apple Stores and online from eBay, a 3 month subscription is $29.97 which works out to $9.99 a month. At $99, a 12-month gift card saves you 18% bringing the monthly cost down to $8.25. Only $2.99/month in our country, will give it a try once I bought a new pair of earphones. Tried it months ago on my LG G3... Buggy, laggy, even crashing all the time.... Shame on you Apple, it's a paid app! You must havent been around for Spotify desktop, and even when it came out as a mobile app, lmfao. It isn't surprising if they say the Android version was buggy/laggy, you don't have to deflect. But if they say that it is buggy or laggy in their iPhone, that's where you hit them trolls. Even then, why compare an app from 10 years ago by a start up to one from about a year ago and from a multi-billion dollar corporation that claims their products "just work". Apple doesn't make Android Smartphones. You must be blind.. Im sorry. What does millions downloading the app mean? I downloaded it, used it for the free period, and then canceled it and uninstalled it. They played their card right. They have artist exclusivity which would attract users of both platforms to join. More important. How many paying customers??? I don't think they had any free trial on android, so the question is, how many still have it installed? I don't know about now, but they had the free trial period on android when it first came out. I used it. In the beginning it was extremely buggy, but I assume it's gotten better since then. Bu Bu But Google Play Music and Samsung Music are better, aren't they........????? I actually tried it and it wasn't that good. The UI is horrendous and I thought Google Play Music was bad, much harder to navigate, but than again the app isn't that great on iPhone either. I'll actually stick to Google Play Music since I get Youtube Red/Music and get to have playback while the screen is locked. Plus despite it's bad UI the radiostations are probably the best out there especially the mood stations. It means 10million people switched to android and they wanna use their purchases finally water years waiting .